Only the most perfectly ripe fruit is selected for maceration in alcohol with the addition of just the right amount of sugar to provide a complete and magnificent range of lychee flavour. 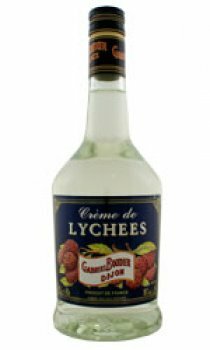 This delicious fruit liqueur is made in the same way as the Cr&eacute;me de Cassis de Dijon and respect the authentic, natural flavour of the fruit. Its intense flavours come from the same rigorous fruit selection.